Lillian Rose celebrated her 102nd birthday on Thursday, Sept. 7. 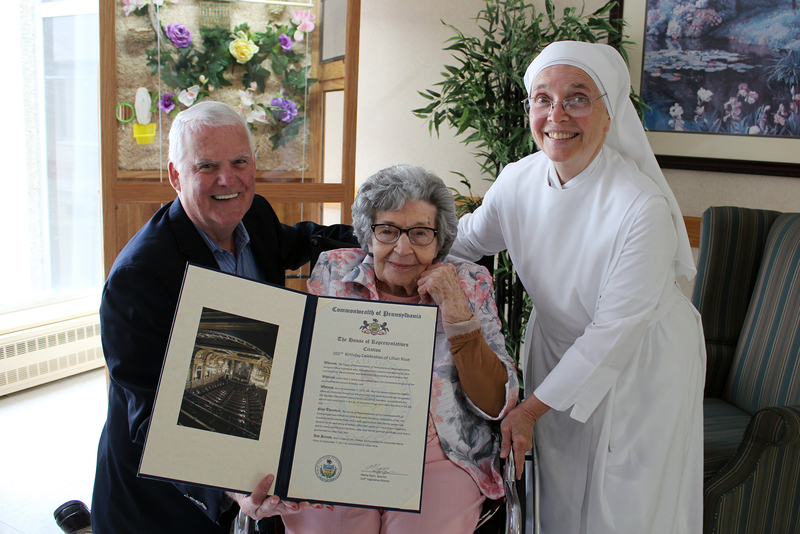 To observe the occasion, Lillian, along with her family and friends, gathered with residents, staff, and the Little Sisters of the Poor at a party in her honor at Holy Family Residence, Scranton. Following the festivities, Thom Welby, chief of staff for state Rep. Marty Flynn, presented Lillian with a proclamation and congratulations from the House of Representatives of the Commonwealth of Pennsylvania on the Flynn’s behalf.